You are here: Home / Musings / Conversation Starter: Your Personal Shooting Standards? I’d like to get your help, though. You see, there are a lot of places out there with their own standards of performance. I received a few in the Facebook group, but I know there are many out there. So here is the question: What are your favorite performance standards? To get the juices flowing, let’s look at some of the examples you guys shard with me. 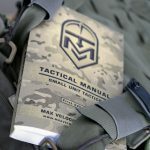 Ash Hess, a competitive shooter one of the primary authors of Army TC 3-22.9, put out an article over at Primary and Secondary detailing his baselines at different distances. So that’s one option. I honestly can’t say how well I stack up to that one right now because I haven’t tested it at speed and at those distances. Another interesting standard came from the American Tactical Shooting Instruction LLC site. This one has the perspective on the “whole person” concept and dips into the author’s experience with the Sniper Adventure Challenge Race. These standards are much less focused on shooting accuracy than they are on physical capabilities. For example, you’ll find rucking, pullups, bushcrafting, and some shooting standards. Though he doesn’t go as as publishing what the actual standards are. This approach interests me primarily because it goes beyond shooting skills alone. What kind of standards have you come across? How do you measure your own performance? Personally I don’t think I’m necessarily a ‘bad’ shot but there’s no way I’d live up to the ‘Ash Hess’ minimal standard as described above, especially at distance. I’m a hobbyist at best so I’m never going to be kicking in doors or taking shots at threats over 100 yards away. Actually, a worst case scenario for me (God forbid) would likely involve living room or front lawn distances. I think for the average person it’s more of a ‘need’ standard versus a ‘want’ standard conversation. William, I thought the same thing when I saw his standards. But I also get where it’s coming from. A lot of folks skip over the fundamentals in a rush to try and do “cool guy” stuff. At 48 years old, I am about to retire from the Army after 30+ years of service. The ‘standards’ that I have been exposed to have been the Army qualification standards. Until I shot up to 500 yards in a civilian course in 2018, I had never shot at a distance greater than the 300m target in the Army qualification process. Another ‘first’ for me in 2018 was shooting in a two day Project Appleseed event. Knowing that the Army only taught me to qualify over the years, I left any false ideas of the Army having made me a trained killer at home and went into the Project Appleseed event with an open mind. I can honestly say that Project Appleseed taught me more in two days about basic rifle marksmanship than the inadequate Army program did over 30 years. I like the program so much, its message and what it is trying to do for the country that I have become a volunteer in the organization. So, my current ‘standard’ is the Appleseed qualification. I’m looking forward to taking more classes and learning more as I get into retirement and have more free time. Appleseed is definitely a good program. I really enjoyed the time I spent there, and did learn a lot about the fundamentals. it always helps to have a real coach looking at what you’re doing and offering pointers. For general purpose rifle work (as in hunting big game), Jeff Cooper had three standard exercises that test multiple fundamental skills, from pure marksmanship, to speed, to assuming position/breaking position/moving/assuming position again. Along with a bunch of pistol/shotgun courses. Along with a wealth of other info on all types of shooting and related things. Excellent site. The site owner is an old-school Jeff Cooper student and NJ ex-patriate like myself. The above tests give you a real-world wringing out that you can apply to real-world usage. Oh man, Pete, I miss having you around this much! That’s a great resource, I appreciate you sharing it. Huge amount of info on there, lots on Col. Cooper as well. The dry practice drills and standards are great. He’s even got a section of quotes and poetry that capture the essence of “our side’s” thinking. I clover leafed my first three rounds at 100 yards for the first time with a .308 and some ammo I got in a trade from a metro sniper, Hornady ELD M-Tac to be exact, a few months ago. He was also the instructor teaching the precision rifle course I had taken. Having a suppressor took 25% of the recoil out and this was shooting prone. I didn’t know I could do that. I would wager I’ll never be able to do that in field conditions…and I’ll never take that 12 pound rifle in the field. Something that all the training taught me was go with what works and recognize what’s actually needed. I thought all my shots had to be in a single hole and thats just wrong…and less lethal. I’m not saying theres anything wrong with standards, especially if you’re trying to qualify for something (a position or job or competition), but for killing stuff, at least in my area of the States, 400 yards is about it. For combat, good luck justifying 400 yard shots. I suppose what I’m trying to say with all this is, sometimes good is good enough and standards are a good thing to keep in mind, but the application of the skills that the standards enforce are where I’m at now, personally. One of the entertaining things to me is how much of a demand people put on accurate rifles. The standard for accuracy today is way higher than in the past. I remember reading some internet rumor that the original spec for the M24 sniper rifle called for a 3-4 MOA accuracy level for exactly the reason you stated…there are other more important things in field conditions. Good point. I’m not Gov or Leo so a lot of my assumptions were from….80’s action films growing up. Just a fact, I guess…anyhoo, when you start listening to guys who have killed the bejesus out of dozens in the span of three decades and several continents it makes you stop and think. “Dont worry about that, focus on this and we’ll transition to that”…and then the light goes on and it clicks. All the whiz bang stuff becomes neat but null and the basics kick in when it’s time to hustle. I DO think people should have standards though. Theres just so many now that I forgot I have my own and its circumstantial. When I was going through the gunsmithing program at Trinidad State Jr. College out here 42 years ago (ouch), the ‘holy grail’ was one minute of angle accuracy from a bolt-action sporter rifle (we were building sporters out of WWII German Mauser 98 bring-backs). Things have changed. Everyone seems to want to spend lots of $$ to get a 1/2 minute rifle yet how many get away from the bench, and do really serious position training? Whoops, that’s WORK. Good point. I’m not real good at simplifying things to that degree. I think that’s decent shooting for a hasty shot using a tree for support. I could do better or worse…how much feeling is left in my toes in January?! Ok ne thing that I have always enjoyed is seeing where I find myself to others standards. Sometimes it real good. Others, not so much. I enjoy standards for the same reason. It usually ends in “well, at least I know what I need to work on”. A lot of people, including me, shy away from that because don’t always want our egos challenged. Hitting a paper plate at 200 consistently is an already pretty good standard. A standard paper plate is what…nine inches? That’s 4.5 MOA at 200. If you can do that consistently, then you’re doing pretty well, IMO. OK…but from what position? And under what time pressure? How many times out of ten? Group size in minutes (a true angular measure of ability) per each position is one measurement. This tells you how far away you can consistently hit a given size target. Another is speed to first hit, starting from standing ready (port-arms, or low ready) to assuming position and firing (ideally) a first-round hit, with the target dimension commensurate to the real-life intended target, at multiple distances. For example, using a paper plate: The TIME for each of the following: standing ready to a standing hit at 100; standing ready to sitting at 200; standing ready to prone at 300 and at 400. These impart meaningful results that can be translated to real-world situations in hunting or combat. Target size, range, and time limits are for you to figure out to suit your intended purposes and goals. Ah, and there’s the rub. Good goals should be specific. Dinner plates at 200 yards is good, but dinner plate at 200 yards from a sitting position in less than 4 seconds when starting from a low ready standing is better. I don’t mind at all. It’s a great book, and one I plan to review. I’ve shortened the link for you, though. I want to get into a whole pistol shooting series of posts to go along with my rifle marksmanship. I just don’t feel as qualified to write about it. I don’t have any official standards or recognized courses of fire/ qualifications per se, but I do have some unofficial drills pistol drills I run during my for fun range sessions that help me see where I am at. Keeping a mag inside a 3”x “5 index card at 7 yards, a mag inside a 6” paper plate at 15 yards, and a mag inside a 12” paper plate at 20 yards plus. I also log each trip in my range journal so I know what I did, how I did, and what I want to work on. Sadly , I don’t have a set standard for rifle outside of staying within 2 MOA from the bench at 100 yards yet. I have a collection of drills and training materials from classes collecting dust I need to implement. Plus I need to hit a local carbine match or two to shake some rust off. Goals for the back half of 2019 maybe. I have a number of other printout drills I run from pistol-training.com that help get me outside my comfort zone. But I still don’t have a shot timer to keep me honest. Apps have been finicky and I know a timer would help, but it’s a big buy and there always seems to be something else I’d prefer to get more. I need just make that purchase happen so I can better track myself and push myself outside of a match environment. I also just picked up Karl Rehn’s Strategies and Standards for Defensive Handgun Training. Going to dive into that and try to implement some of it moving forward. I’ve taken a number of rifle and pistol classes with him over the years and can vouch for his and KR Training’s staff expertise. Karl has grand master/master status in multiple disciplines and has trained with and hosted a highlight list of folks from Massad Ayoob to Ben Stoeger to Tom Givens. They present fact based and realistic training for civilians, so I’m looking forward to getting some actionable info. A timer is, in my opinion, an *extremely* important tool for training especially pistol skills. I would highly recommend you bump up the priority of a timer on your shopping list. It will open up a whole new world of shooting for you, compared to just doing accuracy oriented shooting. Regrettably, I have been able to do an extremely limited amount of shooting this year. I also have not developed a very robust set of standards for myself. On the pistol side, I use mainly IDPA competitions and my performance on the classifier to gauge my skill level. On the rifle side, the only thing I can be said to be working towards a standard is with an IDPA target at 100 meters, starting from a muzzle averted ready position, a single hit on the -0 or -1 zone as fast as possible. I’ve been using 3 seconds as a time limit, but I’ve noticed that is really very generous. I’ll be cutting that down to 2.5 or 2 seconds flat in the future. Index cards are a great tool for training, as well as paper plates. I think a lot of folks always want to spring for the fancy tools, but they aren’t really doing anything better. I’m in the same boat about .a lack of shot timer. I know I should get one, but the money keeps going elsewhere.